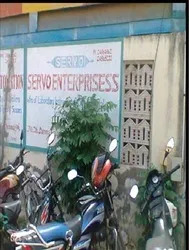 Where precision is the priority, Servo Enterprisess brings an unmatched quality of industrial & scientific laboratory equipments. 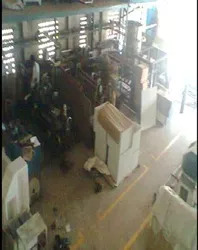 We Manufacture and Supply a broad range of equipments including Constant Temperature Bath, Salt Spray Chamber, Platform Shaker, laboratory fermentor, laminar flow equipment, autoclaves, bacteriological incubator, b.o.d incubator, hot air oven, vacuum oven, environmental test chamber, fermentor, deep freezer, lab furnace and more. Our focus is to offer complete solutions to our clients by providing value added services such as installation, servicing and technical training for the equipment. We have been one of the most trusted name in the industry catering to the diverse needs of engineers, scientists, manufacturers, businesses, researchers and government agencies. 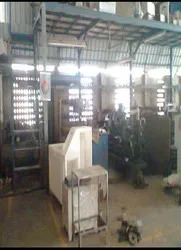 We have installed latest machinery at our manufacturing unit that enables us to fulfill all the requirements of the clients with precision. Our complete range of products are tested on variety of parameters to ensure that they comply with international standards of quality and performance. We also specialize in providing custom designed solutions based on the specific requirements of the clients. Our endeavor is to achieve complete customer satisfaction by providing best quality of products and prompt services at the most competitive prices. Quality has been our mantra to success in the competitive business arena. We follow a Total Quality Management system to ensure International standards of products. A stringent quality control norms are adopted right from procurement of raw material to the final dispatch of the consignment. Every laboratory and scientific equipment is individually tested on various parameters such as calibration, accuracy, technical superiority, durability and performance. Prior to delivery, we also perform inspection of the batch to make sure that the products comply with the specifications provided by the clients. Our R&D department conduct numerous application experiments for developing an innovative range of products. Accumulations of feedback and constant research has led to innovation in different process technology. Our researchers work with the focus of designing economical equipment that are highly functional and easy to operate. We also keep a keen eye on the latest developments in the international market and upgrade the existing range of products accordingly. Combining innovative design concept and latest technology, we design and develop high quality equipment that are known for reliability and performance. These product provide ease of operation and years of hassle free use. Over the years, we have built a global reputation of being one of the most trusted name in the industry. We have been supplying products to various research laboratories, industries, engineers and different government organization. Our clients have always appreciated our products and services by placing repeated orders. We believe in building an everlasting relationship with our clients by meeting and exceeding all the expectations of our clients.